At Thistle Rose Leisure we are as passionate about our camper van conversions as our customers are about enjoying them. Offering high specification camper van conversions using your own base vehicle or one sourced from our trusted network of vehicle suppliers to meet your requirements, we are committed to creating your perfect holiday companion for you to enjoy for years to come. With a range of designs and even a 'try before you buy' scheme via our hire company, Thistle Rose Leisure is the best starting point for your camper van dreams. Stray FM's Lifestyle show try out the Campervan Life! Local radio personality, Beth Parsons, borrowed a Thistle Rose Leisure camper for the weekend to try out the campervan life for Stray-FM's Family and lifestyle show. 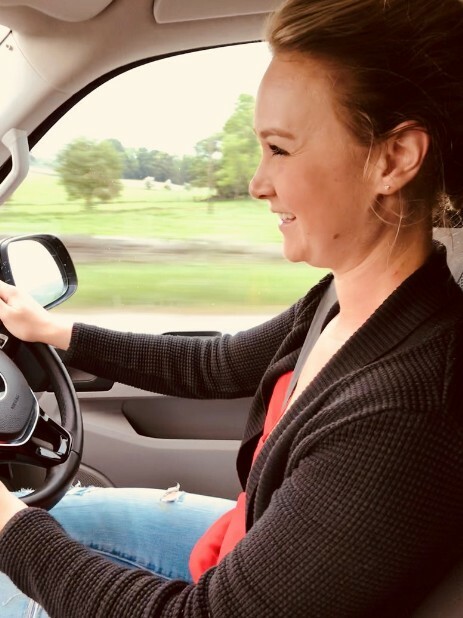 Using one of our try before you buy hire vans, Beth set out on a weekend road trip to see just what the attraction was with living life in a car sized panel van. She enlisted the help of boyfriend Sam and a couple of little helpers too. We've just completed our first Transit conversion on behalf of a customer. With a new design of practical furniture, a RIB 112cm seat-bed (not rock and roll) and all the usual features you'd expect from a Thistle Rose conversion. The conversion is fitted with a Drivelodge roof. Giving more interior and storage space than a VW Transporter T6, the Transit is a good option to consider - particularly when you look at prices compared to the VW's. Why not contact us about converting a Ford Transit Custom into a Campervan for you? We will be purchasing more vans for stock early in 2019. Watch this space for more vans that can be tailored to your needs for delivery in spring/summer. Read our guide to considering your campervan priorities and planning your campervan. Choose from our range of proven, well-planned layouts or contact us to discuss how these could be tailored to meet your exact preference. Finally, select your choice of furniture finish and floor finish to complete your design. Every conversion is rigorously tested, quality assured and certified - supplied with conformity pack to meet the requirements of most UK insurers and to allow you to re-register your van with the DVLA as a campervan. have you heard about our 'Try before you buy' scheme? Hire a van from us at www.dalescampers.com and receive a discount voucher if you buy within the year. We'd love to hear from you about the camper you want... Contact us today to discuss your dream camper van conversion.